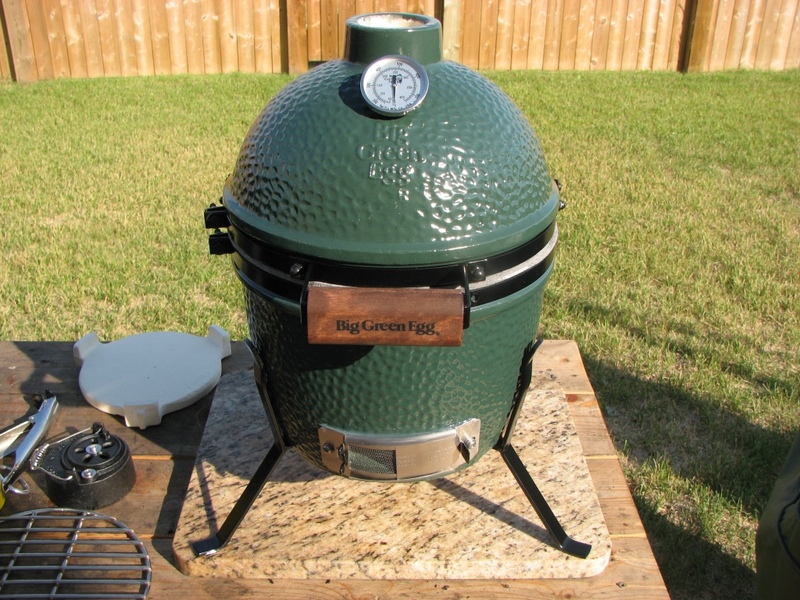 This was our fist shot at trying out the Big Green Egg Mini that we added to the family to go along with our Large and XL Big Green Eggs. Now, every Egg is different and has it’s own personality and it’s going to take some time for me to get acquainted with this one. I’ve had my large Egg for almost 2 years now and I am very comfortable with it’s quirks and how to control the temperature. The XL has taken me a little while to get the hang of too and every time I use it, I find I get to know it a bit better as well. It seems simple, but the different sizes require different vent settings to hold different temperatures and it just takes some time to find the sweet spots. Now it’s time to get to know the Mini. I set it up on my table for the large. I was not sure how much heat would come off the bottom of the Egg so I made sure I set it up over a slab of granite to diffuse the heat. 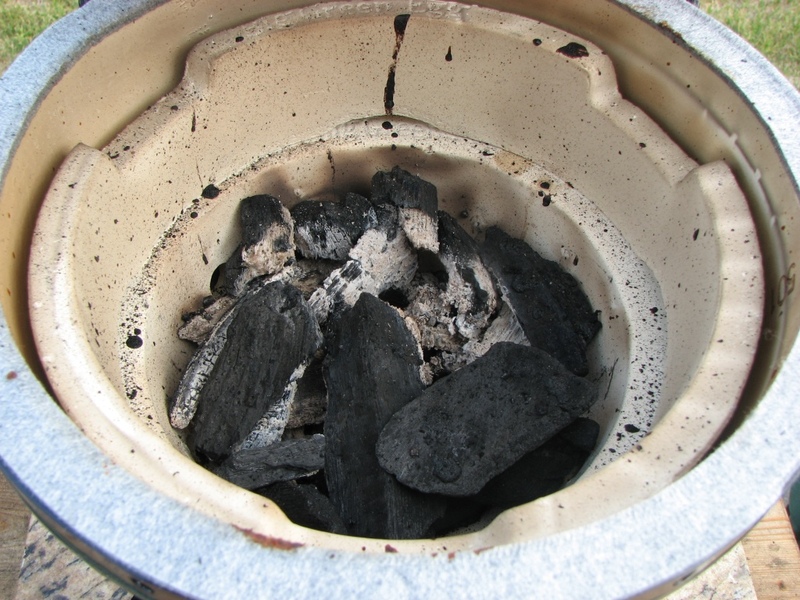 What else is amazing is how little lump charcoal the Mini actually needs to run. It only took a couple handfuls to fill it up… not like my XL!!! Then one more time after about 10 more minutes. It started out a little on the low side. 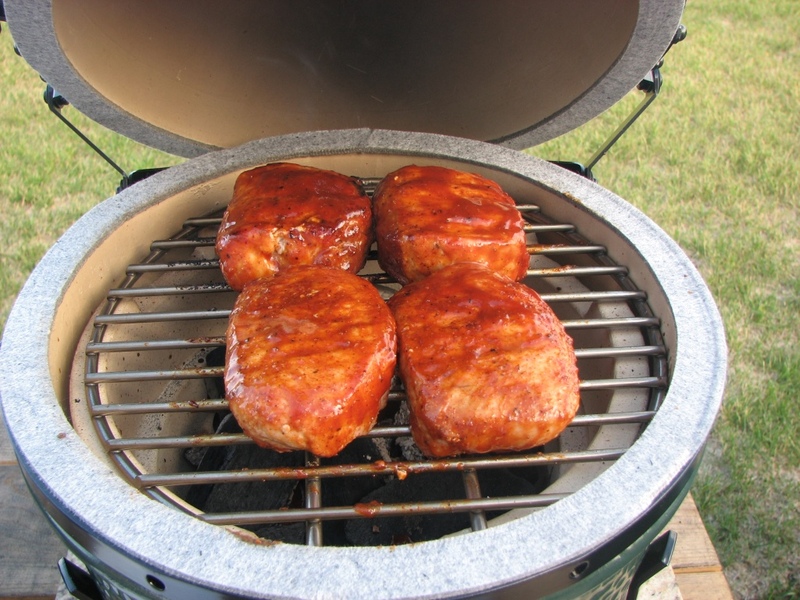 When I put the meat on, the temp dropped to about 300F so it took a while longer than normal to get these guys going. Like I said, this is a feeling out process. I need to practice getting it to the temperature I want it at and then adjusting both the top and bottom vents as needed. With my large it is second nature already as I know where I can put the vents to hold at a specific temp, but this is still the getting to know you phase with the Mini. 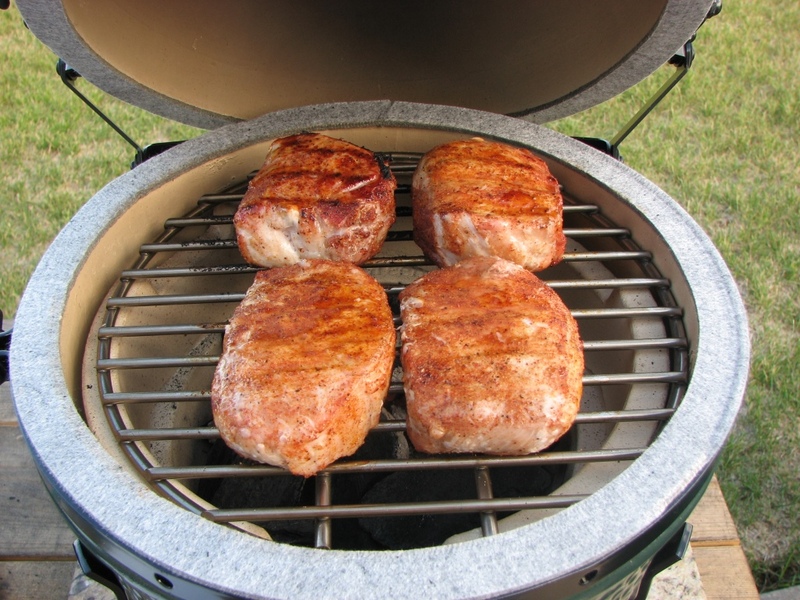 I flipped the chops one last time after I took their internal temp with my Thermapen. 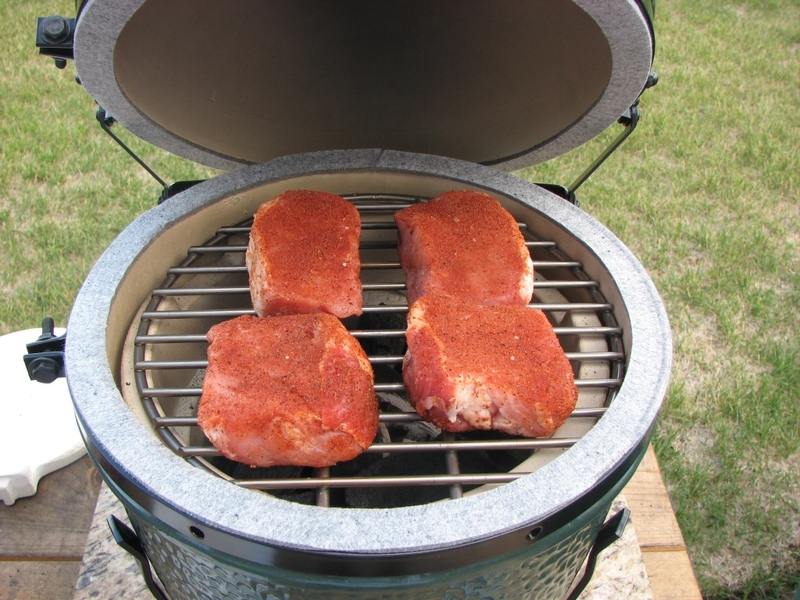 They were all starting to push into that 140F range… perfect for loin chops! 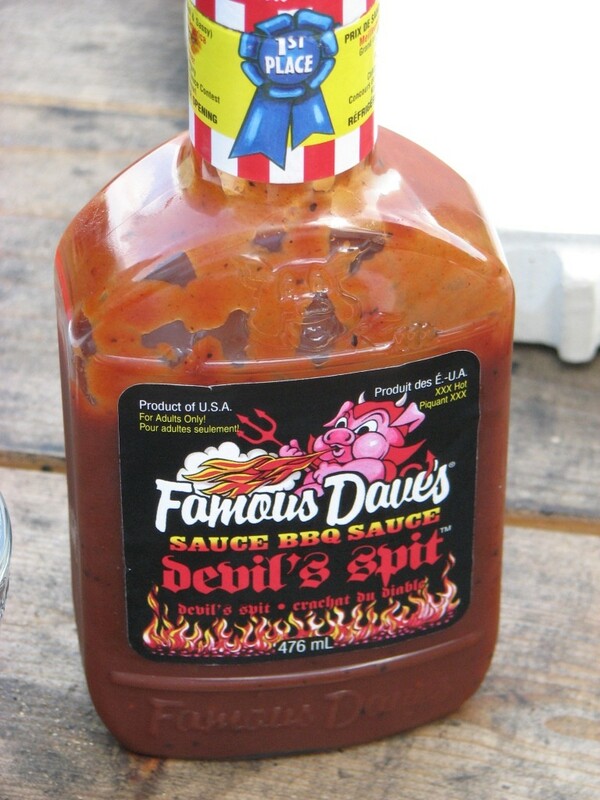 I don’t want them to be over done so I started basting them with some Famous Dave’s Devil’s Spit BBQ Sauce. We like the balance of heat and spice. 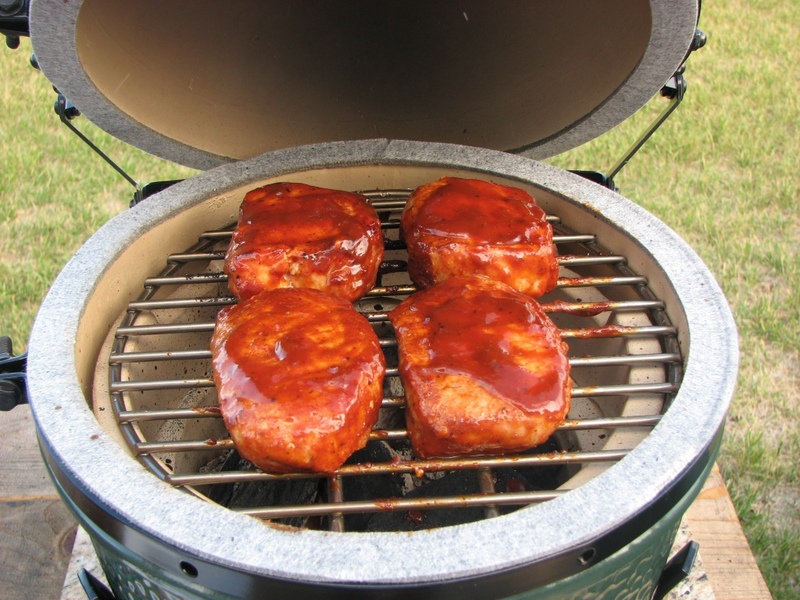 One more flip after a couple minutes of sauce caramalization… then done. 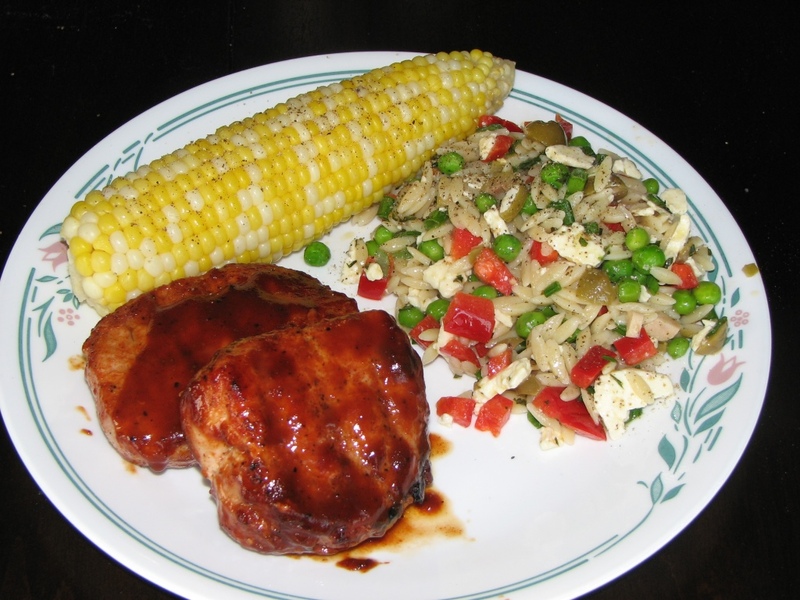 We served these up with some corn on the cob and an Orzo and fresh Manitoba pea salad. What amazed me was how LITTLE lump I actually used. This is what is left over at the end of the cook. 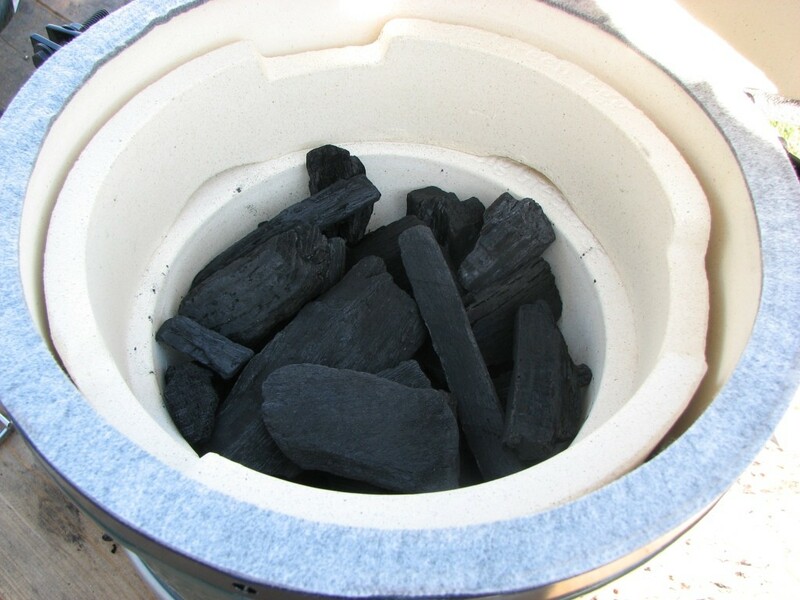 I used a fraction of the charcoal I would have with my Large (or XL) and cooked a wicked tasty chop! 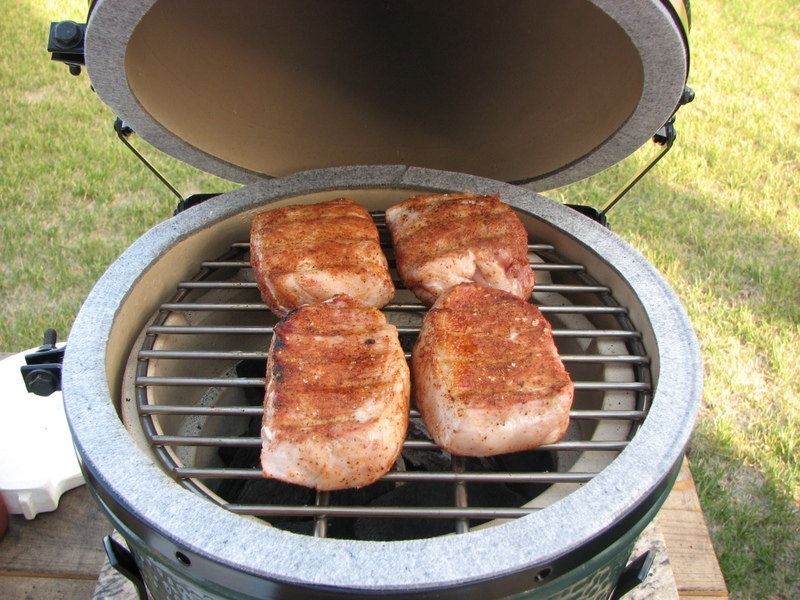 The verdict: The Mini Big Green Egg is awesome!!! It wont replace my Large or XL but will definitely be an amazing compliment to them. 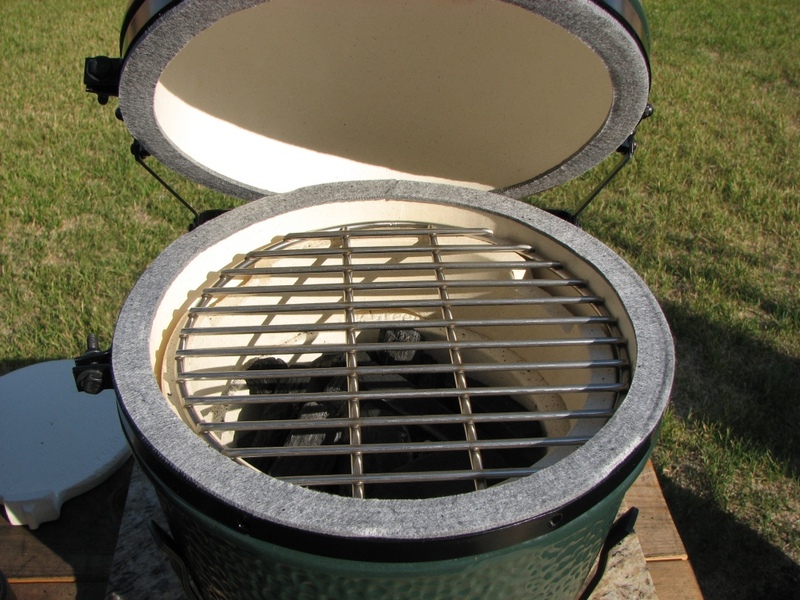 It is the perfect little grill for busy weeknight Egging because it heats up faster and if you are only cooking for 2 you can’t go wrong! You are going to love the Mini. Perfect little addition to your family. It’s a bit of a learning curve, but you’ll get it down in no time flat since you are already familiar with the L and XL. Can’t wait to see what you put out with it. Yeah, just knowing how much to open the vents is really the trick. It’s going to be a lot of fun!! !